Sue Charlton 29/07/2013 27/08/2013 Plate Up ! 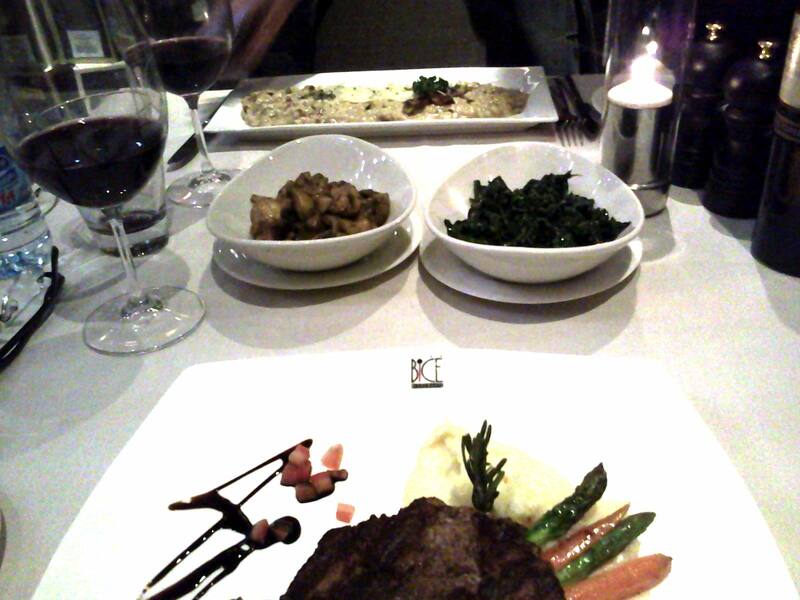 I was completely taken off guard when I was whizzed off to BICE, the restaurant at Southern Sun’s Hyde Park Hotel. We had read mixed reviews about this place…. so we went there with a ‘feed us nicely attitude’. The welcome was most polite, friendly .. and well … welcoming. Lovely tables, nice glassware and crockery. Good space between the tables and the lovely touch of having your napkin placed on you by the waiter. I love that touch in a fine restaurant, so I was enjoying myself already. Wine list was good, not badly priced. Service was superb. Lovely menu. We need to go back to try out some more temptations. We ordered the divine creamy sundried tomato soup – to die for… to die for with lovely warm fresh breads. Fillet steak and vegetables and a mushroom risotto – all delicious. Well cooked, well presented. I had to squeeze in a pud – a baked chocolate soufflé with death by chocolate inside and vanilla ice cream. Unlike some restaurants where this ton of heavy thick, gooey, dark chocolate spills out on to your plate causing immense stickiness and needing a shovel to scoop it up. Not at BICE – the warm, flowing chocolate oozed out waiting to be spooned up and enjoyed. I sat back, lifted my head and left for fairyland it was so delicious. The service great, our waiter had a terrific sense of humour and we bantered nicely throughout the evening. One thing left to say… we will go back…. what for you ask? The food, service, ambiance and just the pleasure of being entertained in a fine place.